FYI: The event was sponsored by Step2, Diono, Munchkin, Nuna, Cybex, UPPAbaby, Babyganics, and OXO Tot. 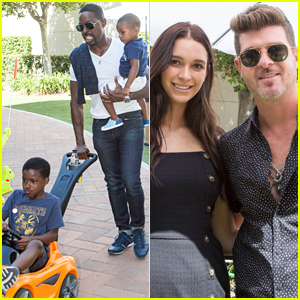 Jessica Alba & Jenna Dewan Attend Baby2Baby Holiday Party! Gwyneth Paltrow, Jessica & Jerry Seinfeld Get Spooky at Good+ Foundation Halloween Bash!